If you need a mortgage loan, have found a house you want to make a serious offer on, it’s good to have a walk through and look at the property through an appraiser’s eyes to see whether or not the home might require repairs or corrections as a condition of FHA home loan approval. November 6, 2018 - Aside from the FHA mortgage loan applicant’s financial qualifications, one of the most important aspects of FHA home loan approval is the appraisal of the house for sale. What are some of the things that could be a red flag on the appraisal? Remember that the appraisal is NOT a home inspection and should never be treated as one. 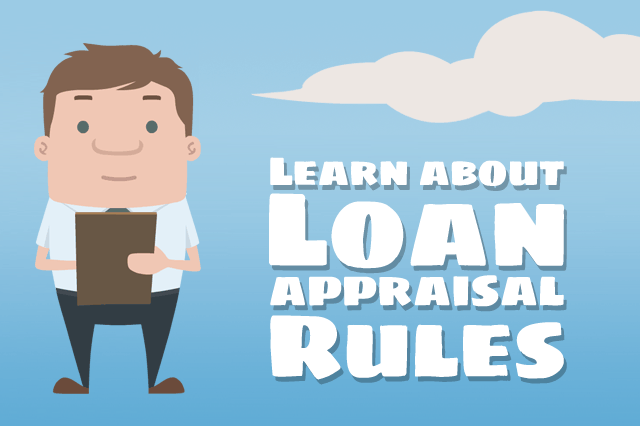 The appraiser is a tool for the lender, not the consumer and the appraisal will only insure the home meets minimum requirements, not whether the entire house is problem-free. That is the job of a home inspection, which all borrowers should pay for to make an informed purchase. Borrowers who do a walk through of the home they want to purchase with an FHA mortgage should inspect the basement and other areas of the home for moisture problems including pooling water in the basement, sweaty walls, etc. Too much moisture can potentially derail even an otherwise problem-free appraisal and require corrections. Peeling paint may sound like a cosmetic issue, but for homes of a certain age, the peeling creates a lead paint hazard which will require corrections as a condition of home loan approval. Does the home have a central air conditioning system that has problems? Is the boiler new or does it require replacement? If the home is equipped with a sump pump, does it work properly? Look at the mechanical systems of the home to insure they are functional and have a reasonable expectation of continuing to be operational for the near future. If the home has more than one floor, go to the top floor and examine the ceilings in the home for discoloration, stains, or any other evidence of a leaky roof. The roof may require a minimum amount of “remaining economic life” and if it is in need of replacement when you do your walk-thru, you may wish to consider applying for an FHA 203(k) Rehab Loan instead of an FHA 203(b) purchase loan to replace the roof as part of the mortgage loan. The condition of the roof in such cases may be grounds to renegotiate the sales price with the seller, depending on circumstances. That is an important thing to remember when reviewing the home you want to purchase. This is not an exhaustive list of areas to examine, but it’s a very good start. Talk to your lender about your concerns if you aren’t sure whether to apply for an FHA purchase loan for your mortgage or an FHA 203(k) rehab loan to purchase and repair areas of the home that need fixing.